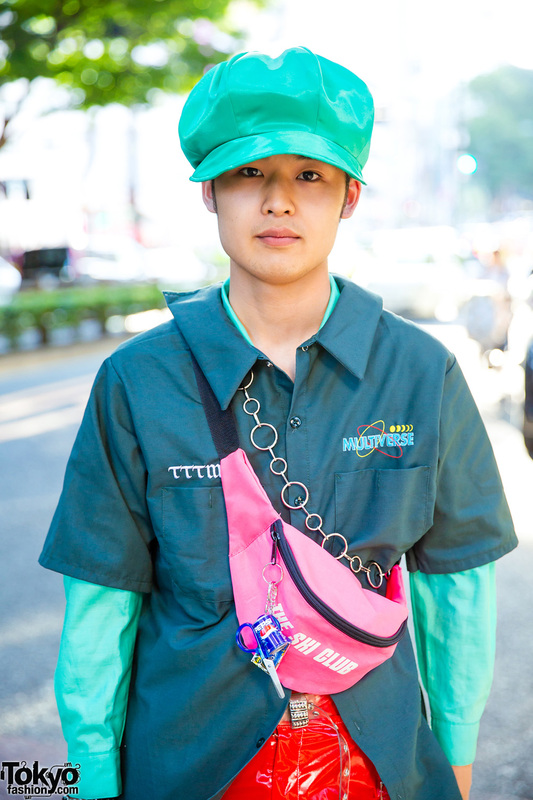 While out taking a walk along the streets of Harajuku, we met Kaito, a 20-year-old student whose interesting street style easily caught our eye. 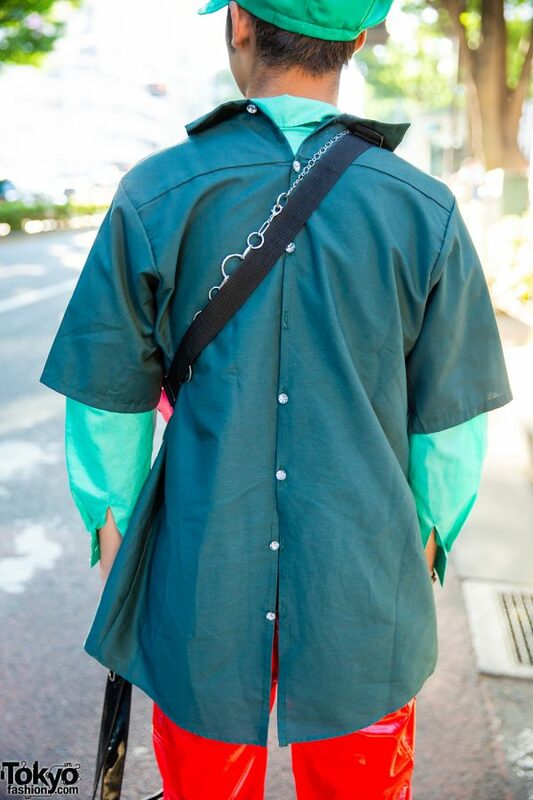 Kaito is decked out in a dark aqua TTT_MSW button down shirt with front and back button closures, which he wore over a mint long sleeve shirt, and paired with cropped patent leather red pants from 7% More Pink. 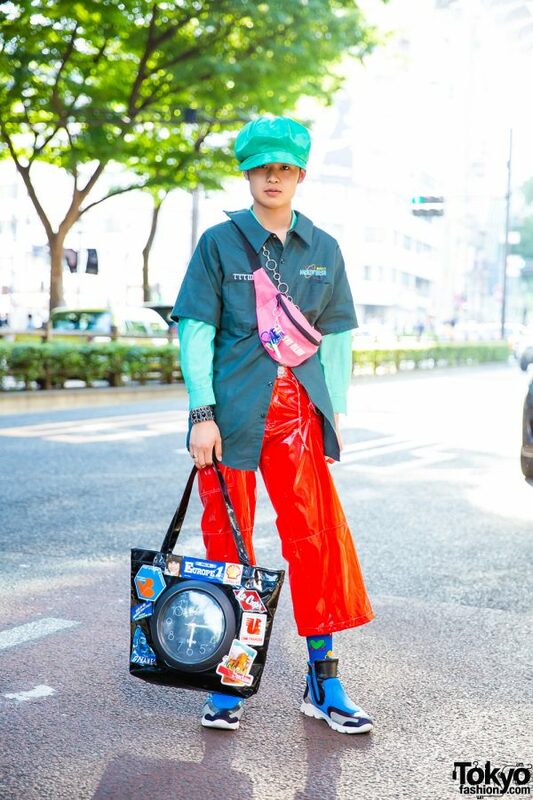 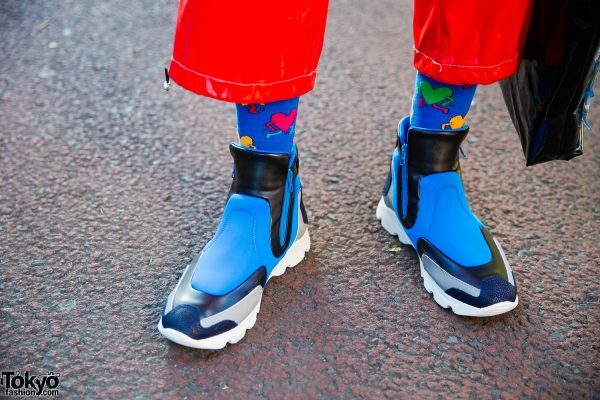 He finished off his style with blue heart print socks, colorblock zipper sneakers from MM6 Maison Margiela, a pink The Ski Club waist bag strapped across his chest, and a black patent leather clock tote bag. 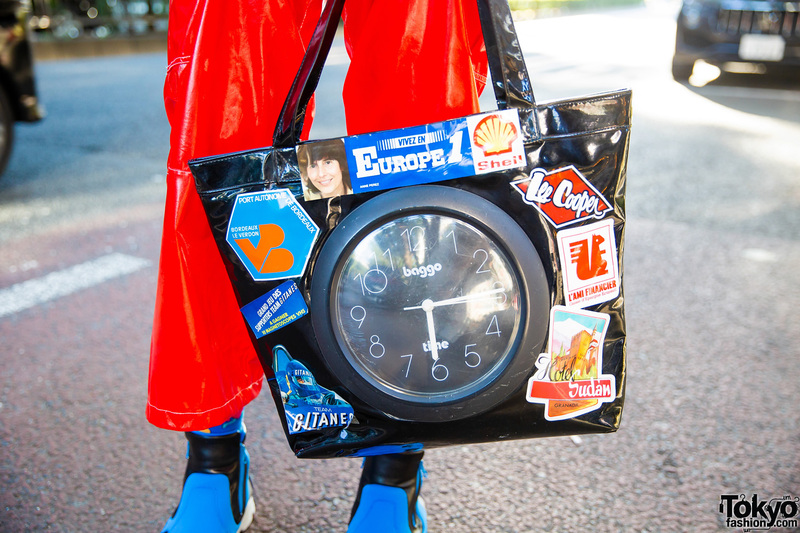 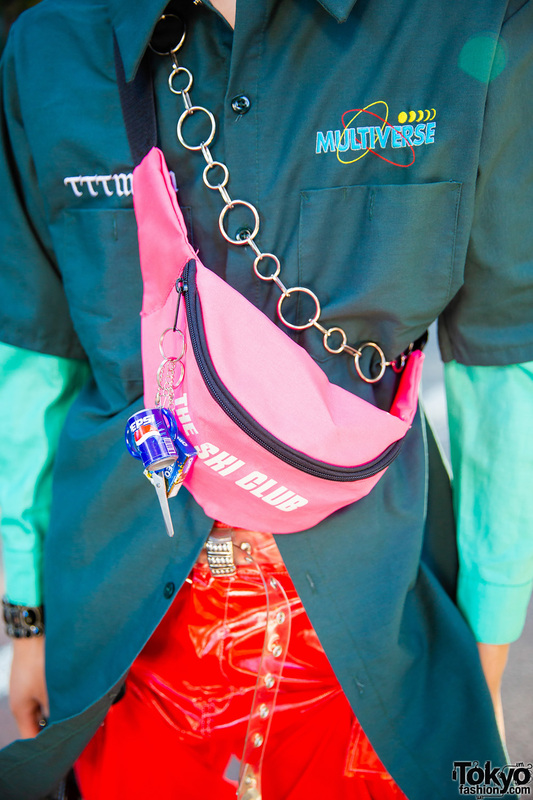 His accessories – from Marc Jacobs and Yoshiko Creation – include a mint patent leather newsboy cap, a silver o-ring chain accessory, a clear belt, a gemstone cuff bracelet, gold rings and a silver pinkie nail ring. Kaito’s favorite fashion label is Maison Margiela, and he likes the music of Sheena Ringo. 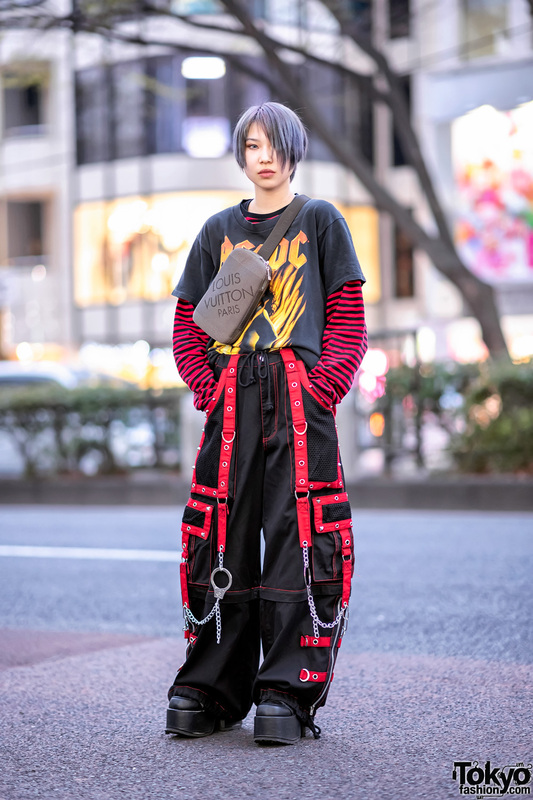 For more on Kaito, follow him on Instagram and Twitter.